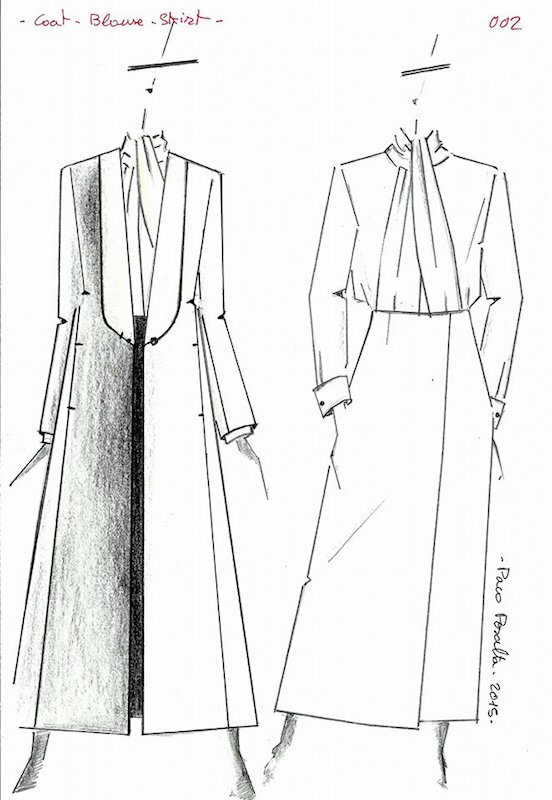 Paco Peralta sketch for Vogue 1567 ©McCall’s/Paco Peralta. The licensing deal brings a new audience to Peralta’s precision-cut designs. 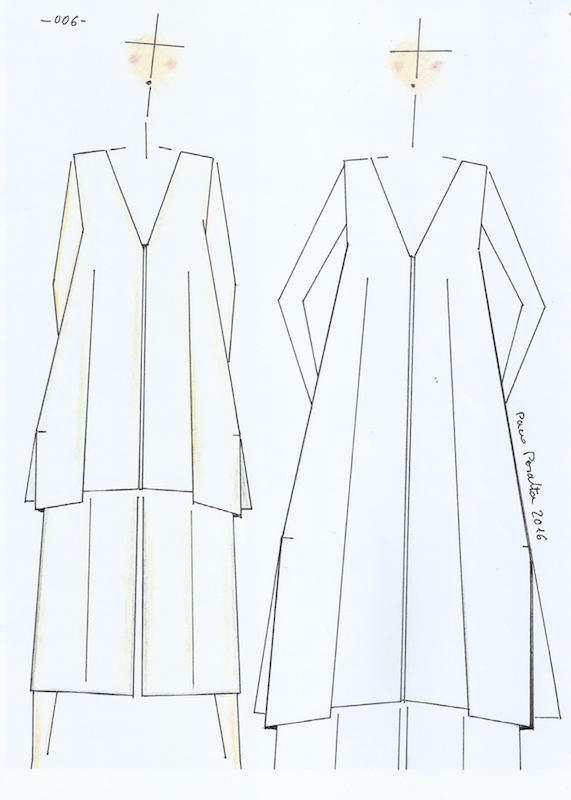 Peralta himself was already a pillar of the online sewing community, both for his fine sewing tutorials and as a purveyor of couture patterns, all hand-traced in his studio not far from Gaudí’s Sagrada Família basilica. Born in Huesca, Aragon, Peralta studied at Barcelona’s Institut Català de la Moda before apprenticing in some of the city’s couture ateliers, who kept alive the traditions of Balenciaga and Rodríguez. 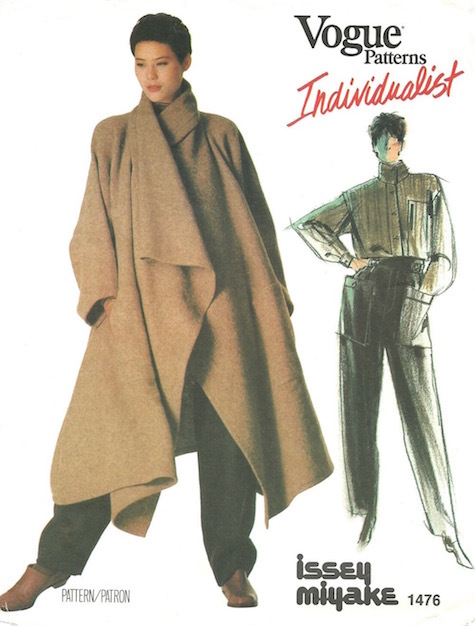 He became interested in commercial patterns in the 1980s, when a friend gave him a copy of Vestidal; his first pattern purchase was a Vogue Individualist design by Issey Miyake. Vogue 1476 by Issey Miyake (1984) Model: Ariane Koizumi. Image: Etsy. Peralta may also be the world’s foremost collector of Yves Saint Laurent patterns, and his blog doubles as a window into this private archive. As regular readers of this blog will recognize, any high fashion sewing history owes much to his work. 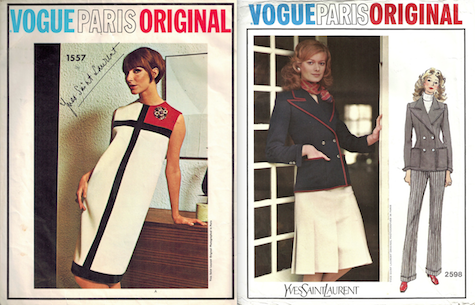 Couture designs from Yves Saint Laurent’s Mondrian and Libération collections. Images: Etsy / Paco Peralta. Introducing Paco Peralta, Vogue Patterns, December/January 2016-17. Photo (L): Eric Hason. Image: Issuu. You can skip the buttonholes with this short-sleeved jacket: it has a midriff inset instead. For the original ensemble, Peralta used a double-sided Italian wool twill-crepe for the jacket, wool-cashmere for the trousers, and for the shirt, a sturdy Egyptian cotton. Vogue 1526 by Paco Peralta (2016) Photos: Eric Hason. Image: PatternVault shop. 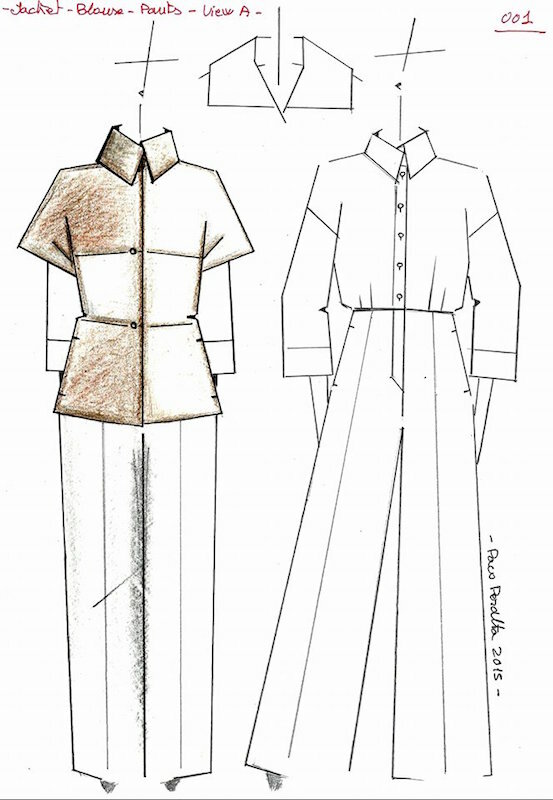 Paco Peralta sketch for Vogue 1526 ©McCall’s/Paco Peralta. Vogue 1527 by Paco Peralta (2016) Photos: Eric Hason. Image: PatternVault shop. Paco Peralta sketch for Vogue 1527 ©McCall’s/Paco Peralta. This tunic and pants ensemble was the summer bestseller. 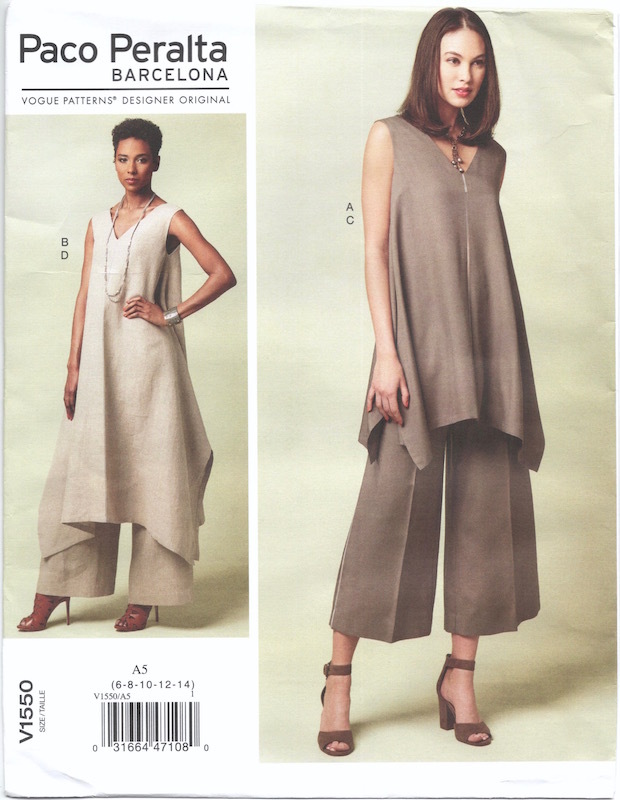 The long version is a heavy linen, while the short, gaucho version is a lightweight silk/rayon. Both have silk organza insets. Vogue 1550 by Paco Peralta (2017) Photos: Tim Geaney. 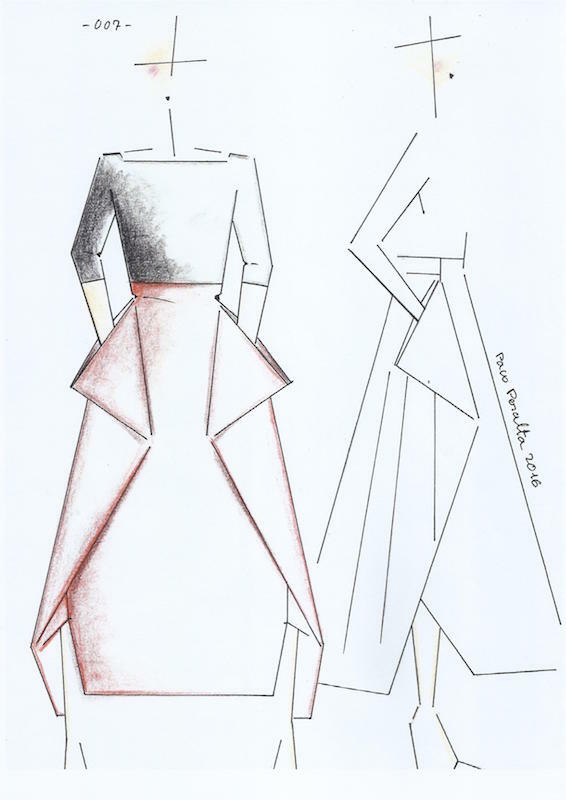 Paco Peralta sketch for Vogue 1550 ©McCall’s/Paco Peralta. For the holiday season, mix and match with party separates: a dolman-sleeved top and winter-weight handkerchief skirt, shown in cotton knit and silk-viscose duchesse satin. Vogue 1567 by Paco Peralta (2017) Photo: Tim Geaney. 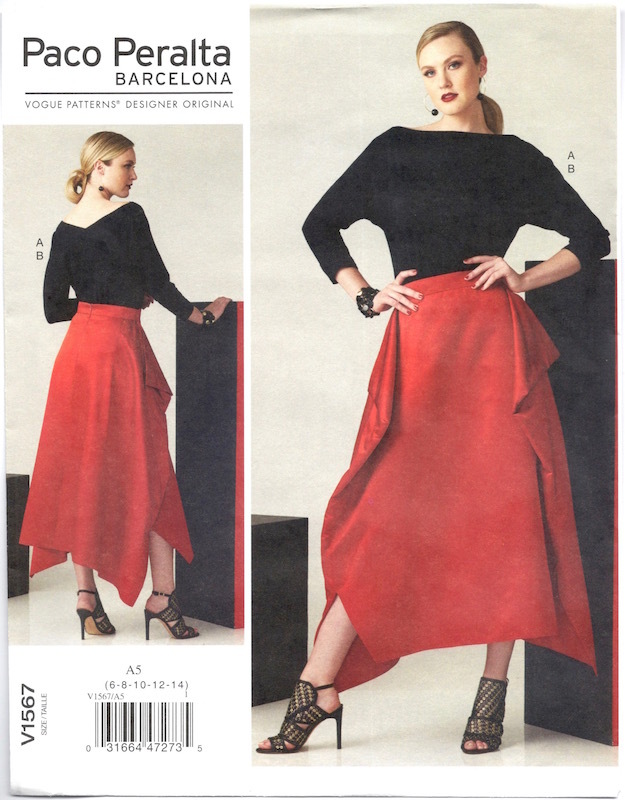 Coming soon: even more Paco Peralta designs exclusive to Vogue Patterns. With thanks to my friend, Paco Peralta. Image: Tany’s Couture et Tricot. I’ve been really liking the Paco Peralta Vogues. Modern and wearable but still very stylish. Looking forward to more! Thank you so much Sarah, love it.! Love it can’t wait to see more. Its high time I bought and used V1550. Thank you for this post, and looking forward to more from Paco Peralta. For some years now, high fashion has featured shock and awe. Refreshingly, these designs are beautiful, wearable and unique. I want them all. Oh Paco s-o glad to see your name here !!! Every Paco design is perfection. I’ve been sewing his patterns for ages and they never fail to please. Thank you once again for an in depth bio and background info. Thanks Ruth. Warm greetings to you.!! Sarah, what a beautiful tribute to Paco’s wonderful designs for Vogue! It would be difficult for me to pick a favorite design from him because I like them all so much! Also many thanks for linking me in this post; I feel deeply honored to be mentioned in the context of Paco’s work; I’ve known and admired him for many years! Thanks so much, Teresa! (Who better?) I love your tartan skirt.